Q: Regarding the Lifetime memberships. If I have this correct, 6 people pay $1600 and a 7th person will get a FREE lifetime membership. Could it also work another way, like having all 7 people pay $1371.43? Q: Looking over the membership drive paperwork I see that there is an option for up to 5 years of pre-paid membership. For a student who is a green or red belt it is conceivable that they will test for Dan in less than 5 years. Does this affect their pricing or would they just pay the Gup level and lock in that rate for five years regardless of their rank? A: The gup student's membership is locked in at the rate they extended for multiple years even if their rank changes during their extended membership term. Been Inactive For Years And Want To Start Training Again. What do I need to do? The first thing you may want to do is reactivate your Federation membership so that you can get member pricing and access to all membership benefits. If you plan to train at a school, then select an Individual Membership. If you will not be in a school then choose the Alumni Membership. Once your membership is activated, then you qualify for member pricing on Federation products and you also you qualify for a 40% discount on all subscriptions on the Soo Bahk Do Institute. The Soo Bahk Do Institute is a great way to brush up, refresh your memory on techniques and "knock the rust off" at your own pace. There ore over 1000 videos available. Once you have activated a membership you will get lower member pricing and we will provide you the discount code you need to use to get 40% off the Institute subscriptions. We look forward to getting you going again! Can I Keep My Current Rank Upon Transfer Into A Moo Duk Kwan School? The decision about what rank that you will be eligible to transfer into a Moo Duk Kwan® school as will be up to the Certified Instructor or Regional Examiner with whom you connect and who evaluates you. Just as junior colleges and universities have different standards for the degrees they issue, so too, does the Moo Duk Kwan® have different standards than other martial art organizations. Rank degrees may or may not transfer as exact equivalents. Transfer students have an opportunity to demonstrate to your Certified Instructor or Regional Official your level of technical proficiency and your understanding of the five moo do values inherent in Moo Duk Kwan® instruction of the Soo Bahk Do® martial art system. After evaluation, they will make a recommendation on your behalf. How do I become a Federation member? What does a Household Membership mean? If one member of a family is a Federation member, and the remainder of the household becomes members, how is the household charged? Household memberships are activated from the day the payment is received unless they are reactivating an existing expired membership. All members activating are given 12 months of membership into the future (or from the existing membership expiration date) plus the person who already had membership. For example, when 2 members activate a Household membership and 1 other person already had an individual membership, if the existing member has 6 months remaining, then those six months are allocated across all 3 memberships to extend their expiration date. Each Household member's membership would be extended an additional 2 months, so at the time the household is activated all three would get 15 month memberships, so they do not lose any paid time. 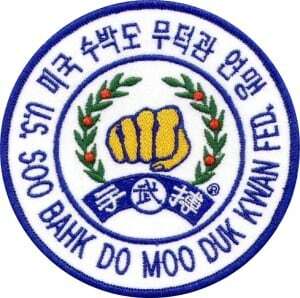 Thank you for your inquiry and interest in affiliation with the Moo Duk Kwan®. Yes, you can subscribe to the Soo Bahk Do® Institute without being a member of the United States Soo Bahk Do Moo Duk Kwan Federation®; however, rank advancement via video submission to the Institute is not currently available. With Federation membership you receive an official Federation membership ID which is required for rank advancement opportunities, an official membership card, a hardcopy of the 170 page member manual, member pricing on educational items available in the Moo Duk Kwan® Mall and you can then receive the 40% discount code for the Institute. You can order educational materials and more through the Moo Duk Kwan® Mall with or without a membership, but you will see that non-member prices are significantly higher than member prices. Typically the member savings on Institute subscriptions and educational items exceeds the cost of a membership. Be aware that a number of member benefits like rank promotion and participation in some events require you to sustain a relationship with a certified personal instructor of your choice and in the case of instructors and studio owners seeking affiliation with the Moo Duk Kwan®, affiliation with multiple martial art organizations is not supported in most cases. In case you have not yet reviewed them, these FAQ pages may provide some helpful information about becoming a member of the community of dedicated Moo Duk Kwan® supporters who are the United States Soo Bahk Do Moo Duk Kwan Federation®. Please advise if you require any additional information to make your decisions. What is my permanent member record? Your Permanent Member Record is simply documentation of your rank and certification accomplishments, your active participation as a practitioner and a record of as many of your contributions as the Federation can identify. The Moo Duk Kwan® seeks to acknowledge practitioners for accomplishments, supportive actions and active participation. Such activity is considered when determining eligibility for rank advancement, certification eligibility, international team eligibility, etc. However, the fragmented nature of when and where practitioners engage in such activities makes it difficult for the Federation to assure that each member receives credit for all they have done. Your permanent Member Record is an effort to document as much of your activity as possible to assure your contributions are fully acknowledged and recognized. Will I receive a rank certificate after each gup test? Upon Technical Advisory Committee approval of a Certified Instructor's Gup rank recommendations received at Headquarters for students with current memberships, the United States Soo Bahk Do Moo Duk Kwan Federation® issues Gup rank certificates for the member and sends the gup rank certificates to the recommending instructors' Certified Studio for ceremonial presentation to the student members. If I am traveling and go train at a Federation studio, should I pay tuition there? Yes. You should offer to pay for training you receive at any instructor's school. Every Moo Duk Kwan® certified school owner incurs overhead and expenses to provide a place for students to train and you should offer to do your part to support the opportunity provided to you. Note: If you are visiting a school in another city for a day or so, you should have previously spoken to your personal instructor about visiting BEFORE doing so. When and Where are Jo Kyo Certification Exams held? Moo Duk Kwan® accredited Jo Kyo certification examinations are scheduled and conducted by United States Soo Bahk Do Moo Duk Kwan Federation® Certified Instructors at their certified school. Upon completion of the Jo Kyo certification examination, examining instructors submit their recommendations to the Technical Advisory Committee Chairman via Headquarters. Jo Kyo certificates are issued for each student for whom recommendations are approved and the certificate is shipped to the examining instructor for ceremonial awarding to the student. When and where are Kyo Sa certification exams held? Moo Duk Kwan® accredited Kyo Sa Certification examinations are scheduled and conducted by TAC appointed Regional Examiners in each region of the United States Soo Bahk Do Moo Duk Kwan Federation®. As of 2009 Regional Examiners have been authorized by the TAC to conduct Kyo Sa certification examinations regionally provided such exams comply with the TAC's Kyo Sa exam specifications. Following the TAC's 02/26/2009 meeting, the TAC Chair indicated that a rough draft of Kyo Sa Exam specifications would be forthcoming and distributed to Regional Examiners within 10-14 days and that regional officials may proceed with planning for regional Kyo Sa examinations. The TAC Chair indicates that TAC specifications for Kyo Sa exams may be modified going forward, but regions can plan and announce regional Kyo Sa exams and advise members of the opportunity to test within the region. When and where are Sa Bom Certification exams held? 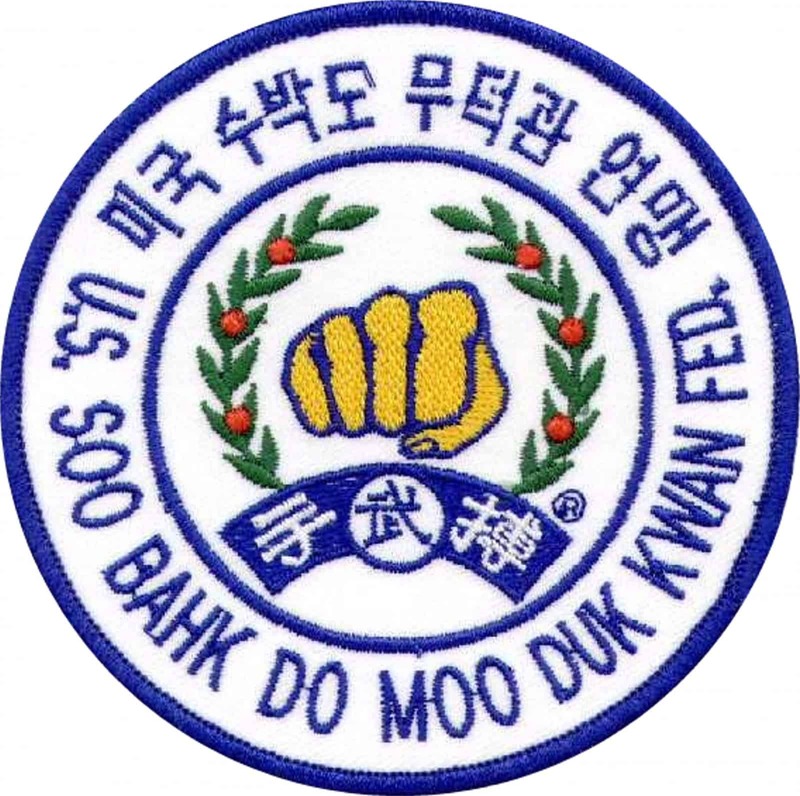 Moo Duk Kwan® accredited Sa Bom Certification examinations are scheduled and conducted by the United States Soo Bahk Do Moo Duk Kwan Federation® Technical Advisory Committee at the annual Ko Dan Ja Shim Sa. How Do I Become a Moo Duk Kwan School Owner? Moo Duk Kwan® accredited Certified Studios must have a Certified Instructor or Supervising Sa Bom overseeing the training there. If you are not already a Certified Instructor, then review this information and get started now. How Does A School Join or Transfer Into The Federation? Thank you for your interest in becoming a Moo Duk Kwan® certified school. Please take some time to review the info at these links and then we can discuss your specific situation if you are still interested. Due to all the different circumstances, there is not a single path to affiliation for a studio, but the info below may help you formulate questions to ask and which would help you. Obviously, the affiliation of an ongoing school with a non-profit membership organization like ours impacts every student as well as the instructors and owner, so due diligence is in order. Your initial application for individual membership helps us determine the next steps to take and it will entitle you to 40% off all Soo Bahk Do® Institute Subscription prices. Please feel free to contact me with your questions after you have reviewed this information. You can signup on the Soo Bahk Do Mall which features hundreds of items that you can use to promote the public visibility of your support for the Moo Duk Kwan® organization, the Soo Bahk Do® martial art system, the United States Soo Bahk Do Moo Duk Kwan Federation® and your studio. Personal Federation membership for you - and for your students if you are a studio owner. Acquisition of an Instructor Certification Study Kit and enrollment in an Instructor Certification training program with your preferred certified instructor. You can download an order form and obtain your instructor's signature on the order form to acquire a Jo Kyo, Kyo Sa or Sa Bom Certification Study Kit. Application for Dojang Certification, acquisition of required decor, registering students as Federation members, preparing for and scheduling Regional Examiner Seminar and/or Inspection of dojang. After you apply for Dojang Certification, you will qualify for wholesale pricing, special marketing assistance and other dojang owner benefits. For example, Black Belt Magazine Cover reprints are available from Headquarters that may be useful to print your own information on the reverse side and use as promotional handouts. Thanks again for your interest in becoming part of the community of member practitioners that is the United States Soo Bahk Do Moo Duk Kwan Federation®.